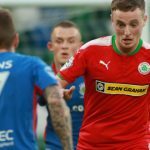 Tonight’s League Cup Second Round clash at Solitude sees Cliftonville face Lisburn Distillery almost two years to the day since a meeting at the same stage of the competition yielded the Reds’ biggest ever victory. 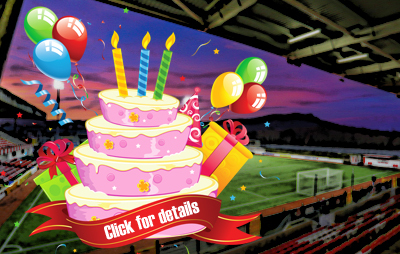 History was made on August 30, 2016 when hat-tricks from Davy McDaid and Stephen Garrett as well as single strikes from Chris Ramsey, Chris Curran, Jude Winchester, Gary Donnelly and a Tyrell McCrory own goal delivered a Club record 11-1 triumph over the Whites – but did you know that Cliftonville’s previous best wins remain records regardless? To find out why, you’ll have to purchase a copy of our Matchday Magazine this evening which, in recognition of that landmark night the last time we faced Distillery, celebrates some of the lesser known achievements of the last 139 years. 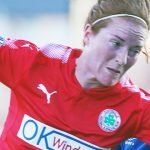 Find out, for example, who hit Cliftonville’s first ever hat-trick and discover why the Reds didn’t score from the spot until a full 11 years after being awarded their first penalty. Thomas Foreman was our first player to be sent off but what other notable distinction does he hold? 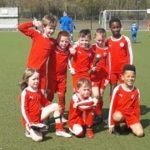 Ireland’s Oldest Football Club has boasted no shortage of brothers donning the famous jersey, but which family holds the record for most siblings to represent the Reds? 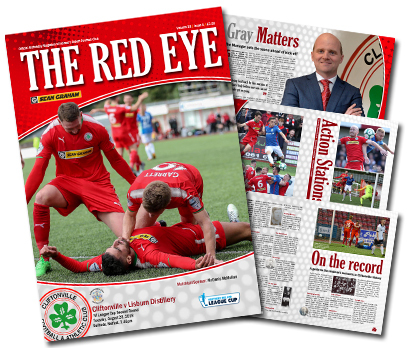 Our latest edition of The Red Eye also lists the six competitions that Cliftonville have never won a match in – plus a few in which we remain undefeated – and reflects on the one and only occasion in which two referees took charge of the same game.